You can pay more for a premium decoy, but why would you? The Primos Gobbstopper is custom designed by world-class sculptors and features the detail and paint scheme quality you would expect from a taxidermist. Its ultra-realistic look will fool the leeriest toms and rival the competition's best looking decoys....at a price any turkey hunter can afford! You can pay more for a premium decoy, but why would you? The Primos Gobbstopper is custom designed by world-class sculptors and features the detail and paint scheme quality you would expect from a taxidermist. 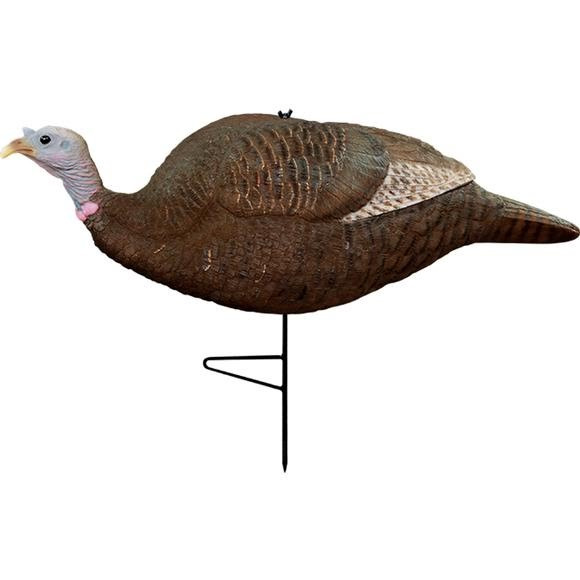 Its ultra-realistic look will fool the leeriest toms and rival the competition&apos;s best looking decoys....at a price any turkey hunter can afford!